Meet the Joie Transcend, an adaptable ally with a sheltering shield and 3 group span, keeping your little one secure for longer! The adjustments hold a custom fit for children from 9kg to 36kg. This 1/2/3 Seat is the perfect travel option for your baby, growing alongside them until 36kg. This innovative seat will adjust to suit your child’s shape and growth, allowing you to adjust the seat height with 11 headrest positions. 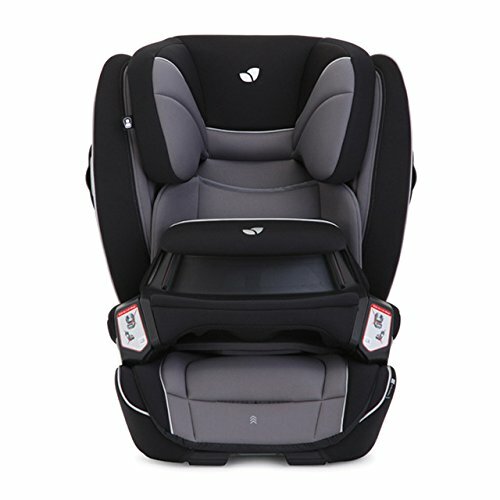 The AutoAdjust side wings will widen as the headrest is raised to accommodate your child. The Transcend features 3 depth options, this, accompanied by deluxe cushioning fabrics will ensure that your child is comfortable throughout any journey. These fabrics are also breathable, keeping your child cool on warm days. The safety panels add additional layers of side protection for your child and fold into the seat when not in use, this added protection will help to aid the head, body and hips. Your child is protected by a 4 position SnugShield restraint. The SnugShield restraint is an impact absorbing front cushion that replces the 5-point harness that is usually featured on car seats of this group. This impact shield will add an extra layer of security and will reduce the strenuous forces on a child’s body upon impact. Not only this, the impact shield features ventilation and frees your child’s arms from a harness, ensuring ultimate comfort on journeys. This impact shield is suitable between 9kg and 18kg, once your child exceeds this weight, the shield will need to be removed and the seat belt will then fit over them and the Transcend to protect them in their high back booster. The Joie Transcend fits into your car via ISOFIX , these will extend from the seat and fit into the connection points in your car. Also featuring easy release buttons which will allow you to simply transport this from car to car. These features will eliminate the worry of incorrectly installing your car seat and will provide you with a secure and confident fit.